The standard Asus BIOS for this motherboard doesn't support booting a Samsung XP941 NVMe SSD (MZHPU512HCGL-00000). 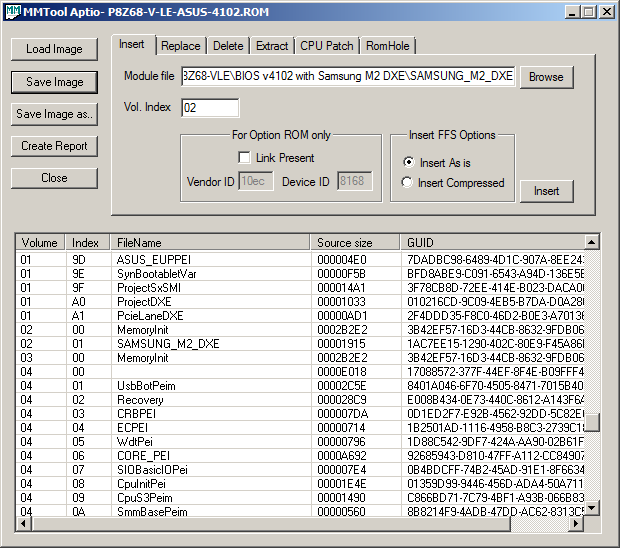 Using the MMTool Aptio a bootable BIOS was generated by using the Samsung_M2_DXE from a Asrock BIOS. This steps are only appropriate for motherboards with AMI BIOS. At the time of writing the UBU (UEFI BIOS Updater) v1810 supports Aptio 4 BIOS - newer X99 chipset boards are not supported by this version. This documentation is the minimum I had to do to get the BIOS booting. I managed not to brick the motherboard. I also opened a support ticket with ASUS but that has proven to be fruitless. This should serve as a good advertisement for the BIOS support in Asrock motherboards. Download the UBU rar from rghost.net and put the files into a directory. This procedure uses the 'mmtool.exe' executable. Reading some of the the following information on the UBU tools might be useful. Once complete I was able to boot the machine directly into Windows x64 v7 (SP1). 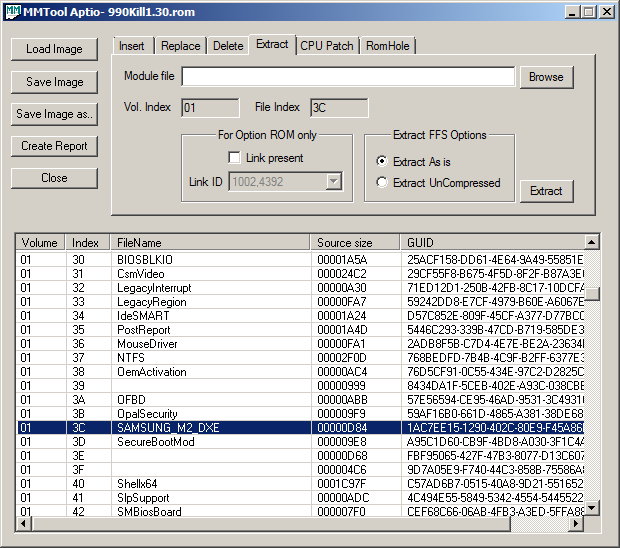 I tried extracting the SAMSUNG_M2_DXE file (1AC7EE15-1290-402C-80E9-F45A86E43F71) from two BIOS. It was a different size in each case. The first was from an Asrock Z97 Extreme6 BIOS. The second one I tried from an Asrock 'Fatal1ty 990FX Killer' v1.30 BIOS worked so I used that (the BIOS was new and it's description included "Improve M.2 compatibility" and "support NVME"). No investigation into the differences was made. 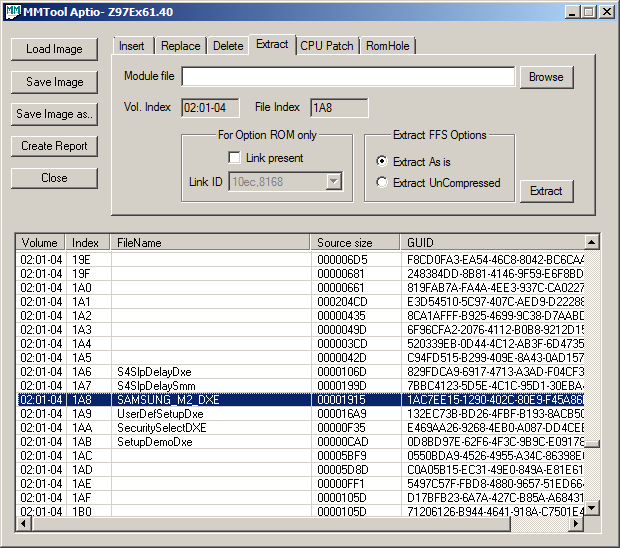 Insert the extracted DXE file into the latest version of the motherboard BIOS.